So when our group thought of what the payload would be, we thought of a box of styrofoam. But then we realized that there are some better designs we could do. 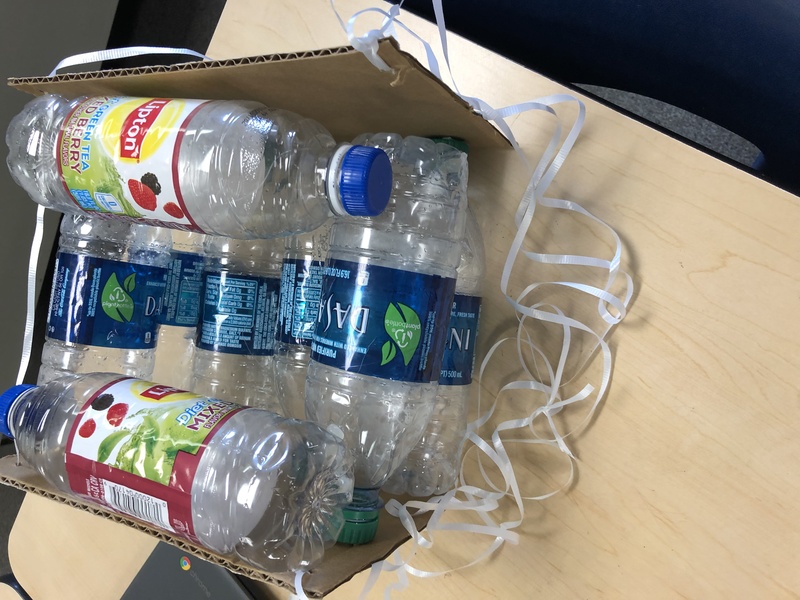 Our payload is made of water bottles and cardboard and we used crunched up paper as filler. This design is probably a lot lighter and able to withstand the drop test. 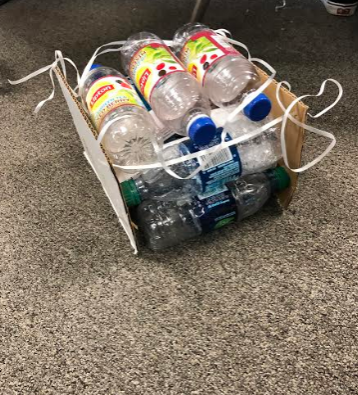 We chose water bottles because they are very light and when they are full of air, it will act like a cushion. 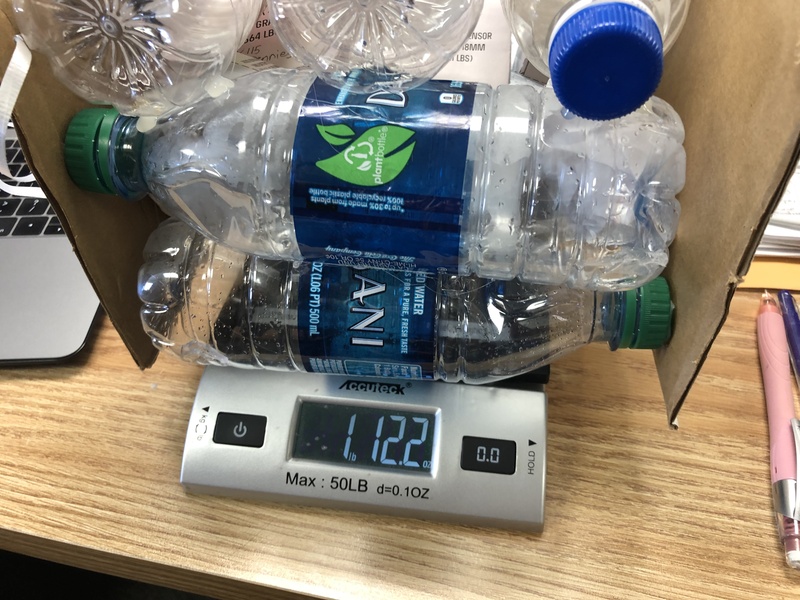 We realized if we just use water bottles, it would be to light, so we used some cardboard and the sides and it added just a little bit more weight. 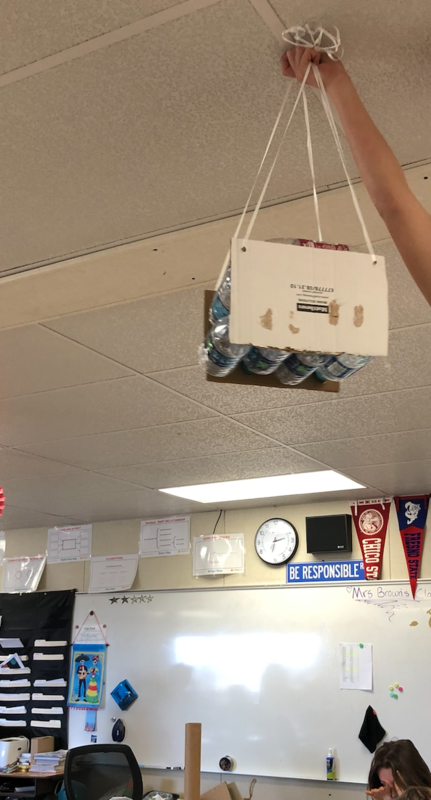 We believe that this design will withstand the drop test and flight.